$850,000 Medical Malpractice Settlement Against Rehab Facility. 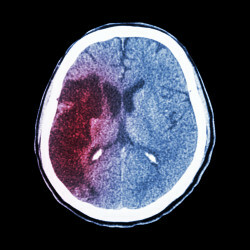 Patient Falls, Suffers Permanent Brain Damage, Dies. The law firm of DeBlasio & Gower obtained an $850,000 settlement for the estate of an elderly woman in a medical malpractice and negligence lawsuit. The elderly woman sustained permanent brain injuries when she fell and hit her head on the floor at a rehabilitation facility in the Chicago metropolitan area. She later died. In the lawsuit, the woman’s estate claimed that the Defendants knew or should have known that the patient was at serious risk for falls because of her recent knee surgery and other medical conditions limiting her ability to stand and/or walk without assistance. The woman’s estate also alleged that, despite these known risks, the facility violated its own safety rules and left the elderly woman standing alone in her room.